For over a decade, Fresh & Healthy has been bringing consumers around the world dining choices that offer healthy alternatives to fast food. 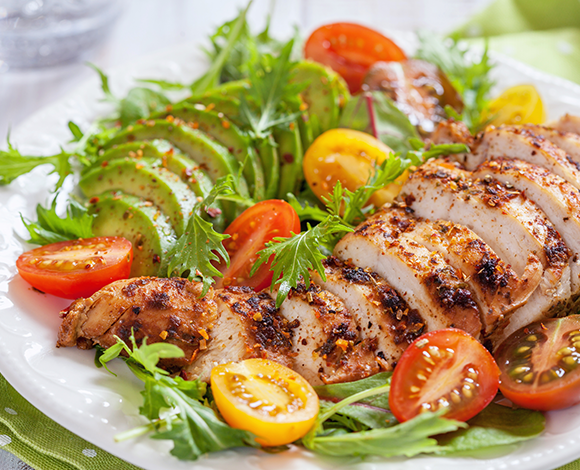 Now with food franchises operating around the world, Fresh & Healthy’s (four) distinct concepts – Go-Grill, Pure Health, Yo-Good, and Juice Zone are leading the way in creating fresh, tasty meals, beverages and snacks that are convenient, delicious and fun. 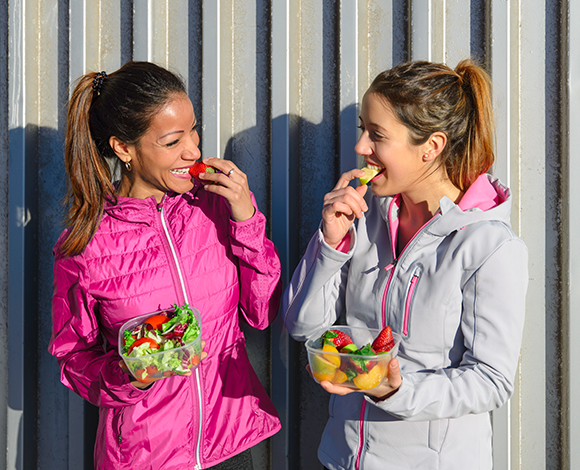 At the same time, Fresh & Healthy continues to create new franchise opportunities for sharp business people who want to take advantage of the global trend toward healthy eating. 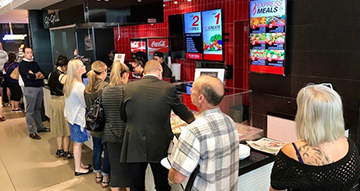 Our franchise partners are realizing their dreams of business ownership, with the strong support of our development team of business advisers, food service experts, store designers and financial experts. Our four concepts are unique among health food franchises. Each addresses a specific niche in the dining market, from the healthy fun of Yo-Good frozen yogurt treats, to the smooth deliciousness found in the Juice Zone, to the more fulfilling meals enjoyed by diners at Pure Health and Go-Grill locations. We cover the spectrum in dining and also in store design, offering the flexibility of bar, kiosk or lounge footprints. 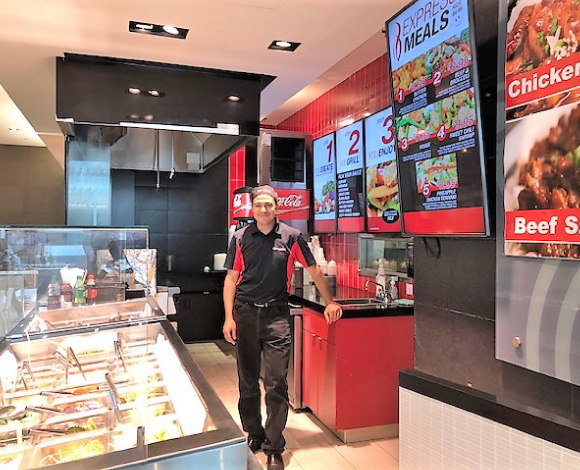 This presents each franchisee with additional opportunities to deliver the Fresh & Healthy concept when and where customers are most receptive. More accurately, it started with the lack of juice. Chad Parker was running a successful chain of 100 entertainment franchises across Canada when he went in search of a healthy, fresh glass of juice as part of his dedication to living a healthy life style. He discovered there were few choices available. That got Chad to thinking, then acting. 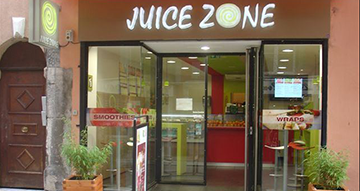 In 2000 he opened his first juice store – the Juice Zone. Customers flooded in, intrigued and grateful for the chance to enjoy a tasty treat that was also good for you. More locations quickly followed. In just three years, Chad realized the amazing potential for his menu of fresh, healthy juice drinks and decided to share the opportunity with others. Chad Parker created Fresh & Healthy Brands in order to franchise the Juice Zone concept across Canada and into other countries. 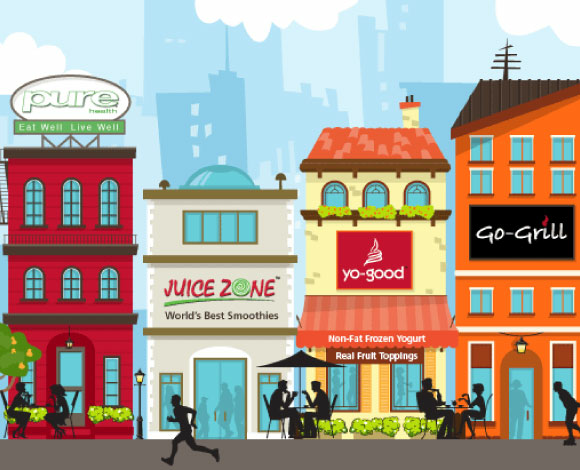 The rapid growth of Juice Zone led Chad to develop additional healthy dining concepts, and Yo-Good frozen yogurt soon joined the Fresh & Healthy family, followed closely by Pure Health with an expanded menu of healthy items. 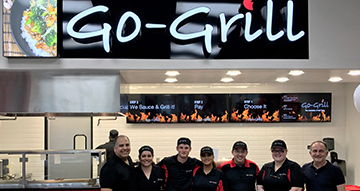 Go-Grill became the fourth concept under the Fresh & Healthy Brands umbrella. Growth and success came quickly. Within just a few years Fresh & Healthy had franchise partners in the United States, Europe and Asia. Today, Fresh & Healthy franchises are located around the world. The company’s menus of fresh, healthful food and drinks have captured the imagination and taste buds of millions of people who wish to support their healthy life style with nutritious dining. Celebrate Healthy Alternatives With Us! Are you interested in hearing about the great opportunities in owning a Fresh & Healthy Brands franchise? Email us today at franchising@freshandhealthybrands.com and tell us which brand, market, and location interest you the most! We’d love to hear from you. Immigrant Investor Program Minimum Investment A new program has just been initiated in Canada for new immigrant investors and they only need a minimum of $100,000.